This is an all time horror of "Big Brother is watching you." Instead of only worrying about how governments "watch you," worry about the vast powers of Media Giants. Worry about all the television stations and all of their vast power. Worry about the questions of whether or not such holders of vast powers against simple U.S. citizens are applying their powers and assets against the general public for their personal benefit - and whether they are doing so at any cost or loss to the general public." 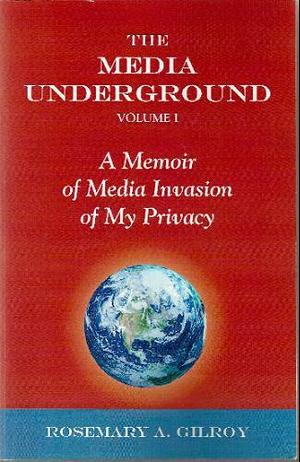 "Media personalities have caused the author to suffer the absolute, total futility and waste of one human life with the ensuing horror to the author of being forced to live such a life due to the constant invasion of her privacy during innumerable years, 24 hours per day, ongoing to this date." "The subject matter of this book is the author screaming out her pain and outrage of what has been done to her due to the selfishly motivated interests of a few individuals, having nothing but their own financial benefits as their sole concern." "During the late 1990's Mike Fraterno ... had stated "It's a twenty year tragedy." "During the late 1990's Greg Licidardi ... had stated 'It's insidiouis.'"